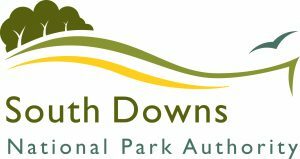 Applause Rural Touring and the South Downs National Park Authority have partnered to support a creative Writer in Residence. The role of the Writer in Residence is to gather stories, thoughts and feelings from local residents on what it means to them to live and work in the South Downs, and to explore the rich cultural heritage of the region. The research will be used to create a new performance which will be staged in pubs located in towns and villages across the Park as part of the Inn Crowd Scheme in September 2019.
Who is the Writer in Residence? Sara Clifford is a playwright and community arts practitioner based in Lewes. She will be spending time talking to a variety of people from different parts of the park, from the rural farmlands to the coastal areas to the busy towns, and will weave all the responses into a new one person show to be performed in pubs in the autumn. “I am so pleased to be working on this exciting project, and I want to hear your stories and memories: what do you know about the Park or its history? What do you know about the local myths and legends of your town or village? Are there local ogres or witches or ghost stories? Please tell us about them! What about the present? How often do you visit the Park, or do you live within it? What is your favourite place in the Park and why? Do you prefer a large sweep of the chalky Downs, larks singing overhead? Or do you prefer a tiny ancient church, protected by an old yew tree and a quiet churchyard? Or perhaps a local pub, full of families relaxing? And for the future? What would be your hopes for it? How can we continue to protect it for future generations? What’s On: You can take part in one of the many events Sara will be attending and arranging in the next few months, watch this space for details. To contribute your thoughts, stories, reflections, creative responses and even songs online, please use the google form below.